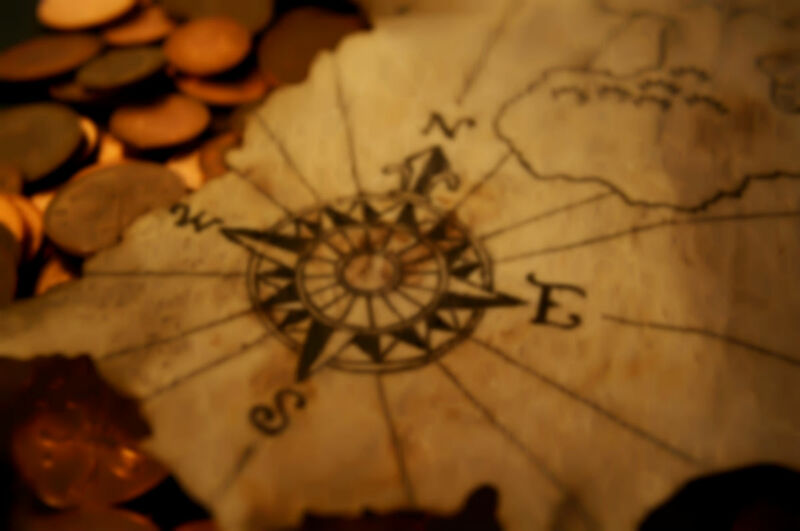 Treasure hunters are given directions such as 3 steps North, 4 steps East, 10 steps South, which lead to the next clue. Obviously they'll need a compass to complete this (maybe include the compass in a previous clue?). Measure out the distances carefully. Using steps instead of metres/feet makes it very easy for the hunters, but remember to judge it on the size of the hunters stride length rather than you own!